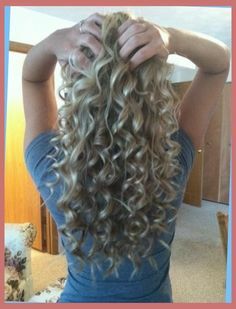 Create romantic spiral curls, an effect that is produced by winding the hair around special long curlers. The mass of curls makes long hair look much thicker. 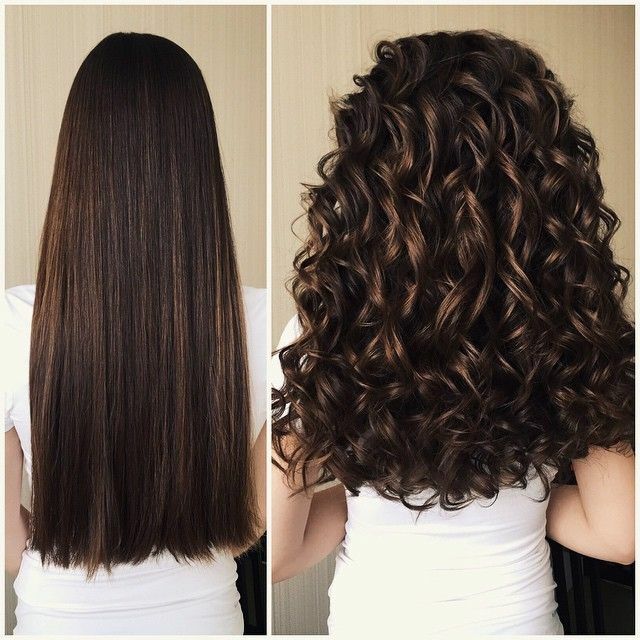 Stack perm gives curl and volume to short hair cuts by means of different sized curlers. The hair on top of the head is left unpermed while the middle and ends have curl. Weave perms involve perming certain sections of hair and leaving the rest straight to give a mixture of texture and natural looking body and bounce, particularly on areas around the face such as the fringe, this is a very textured perm. How Does Hair Perm work? 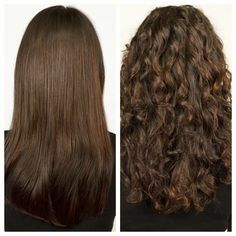 Perm works by breaking down inner structures in your hair and reforming them around a curler to give a new shape. Hair should be washed prior to perming as this causes the scales on the cuticles to rise gently, allowing the perming lotion to enter the hair shaft more quickly. The perming lotion alters the Keratin and breaks down the sulfur bonds that link the fibre like cells together in the inner layers of each hair. When these fibres have become loose, they can be formed into a new shape, when the hair is stretched over a curler or a perming rod. Once the curlers or rods are in place, more lotion is applied and the perm is left to develop to fix the new shape. The development time can vary according to the condition and texture of the hair. When the development is complete, the changes in the hair are re-formed into their new shape by the application of a second chemical known as a neutralizer. The neutralizer contains an oxidizing agent that is effectively responsible for closing up the broken links and producing the wave or curl permanently. The type of curl that is produced depends on a number of factors. The size of the curler is perhaps the most important as this determines the size of the curl. Generally speaking the smaller the curler the smaller and therefore tighter the curl, whereas medium to large curlers tends to give a much looser effect. The strength of lotion used can also make a difference, as can the texture and type of hair. Hair in good condition helps the perm process a lot better than hair in poor condition as well as fine hair tend to curl more easily than coarse hair. After a perm it takes 48 hours for the keratin in the hair to harden naturally. During this time the hair is vulnerable to damage and must be treated with care. Resistance shampooing, brushing, vigorous combing, blow drying or setting, any of which may cause the perm to drop. Once hair has been permed it remains curly and shaped the way it was formed, although new growth will be straight. As time goes by the curl can soften and if the hair is long its weight may make the curl and the wave appear much looser.